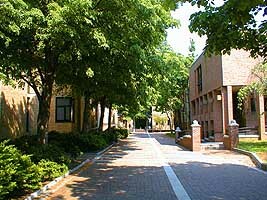 Students enrolled in University College and the College of Arts and Sciences benefit from the resources of a large university system while enjoying the advantages of a small liberal arts college environment. 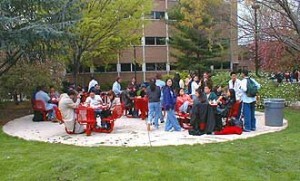 Rutgers-Camden offers small classes, individualized education, and close interaction with faculty and advisors. Most courses have fewer than 30 students and are taught by professors rather than graduate students, as is common on large campuses. Liberal Studies students are part of a group of highly motivated students who are seeking professional advancement and personal fulfillment. The colleges are fully accredited and consistently earn outstanding ratings. In 2015, US News & World Report has ranked Rutgers University-Camden in the top tier of the North Regional Universities category, and Money Magazine named the school as one of the “Best Buys in Higher Education.” These high ratings reflect student satisfaction with programs and services, the quality of faculty, and low tuition costs. Page last updated by Undergraduate Liberal Studies at 9:10 am November 15, 2016 . This page was printed from http://ugradlib.camden.rutgers.edu/about/ at 10:31 PM Thursday, April 18, 2019.